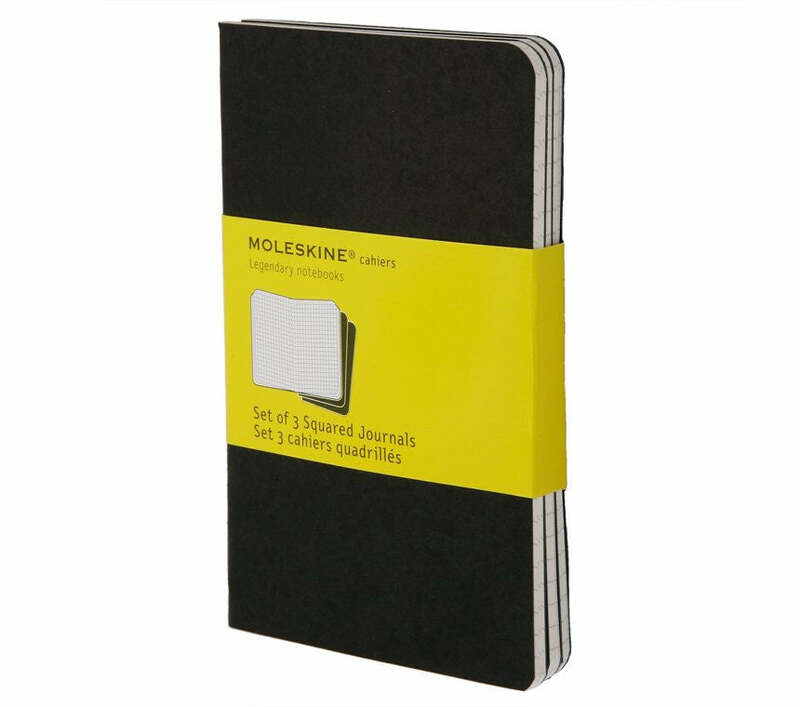 The Moleskine Cahiers are journals with a flexible heavy-duty cardboard cover in black with visible stitching on the spine. The last 16 sheets are detachable and there is a pocket for loose notes. Each set of 3 pieces includes the Moleskine history. With acid free paper squared pages.